This page may require cleanup to meet basic quality standards. The specific problem is: fixes seems rather old. You can help by modifying the article. The discussion page may contain useful suggestions. 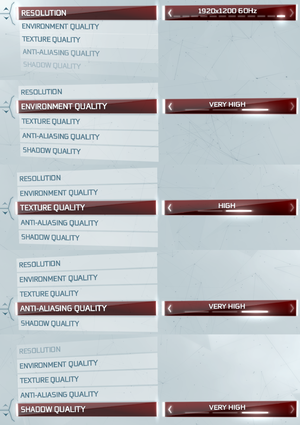 Many users report poor performance in the Boston area regardless of video settings, particularly for AMD GPUs. 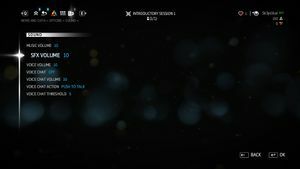 DLC need to be manually enabled if the Deluxe Edition comes from a third party store such as the Humble Store. Download the Skip Launch Intro archive and extracts its contents in the <path-to-game>\Videos\ folder. Download the Skip New Game Intro archive and extracts its contents in the <path-to-game>\Videos\ folder. Patch 1.06 is the latest version; use the manual download link if the Uplay client does not install it automatically. The patch is not cumulative, all patches must be downloaded and installed separately. Aspect ratios other than 16:9 are letterboxed. See the WSGF entry. Pillarboxed to 16:9. See the WSGF entry. FXAA (Normal and High settings) and FXAA + 4x MSAA (Very High setting), TXAA (Nvidia only). No frame rate or refresh rate cap. Running the game above ~80fps causes certain game physics to break. Using a forced framerate cap is recommended. 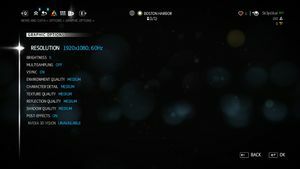 The in-game resolution option may be missing. Resolutions can be set manually. Set DisplayWidth= and DisplayHeight= to the desired resolution. 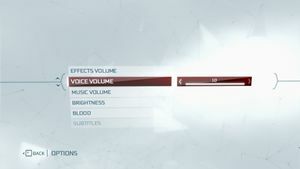 Use Helix Mod: Assassins Creed 3 (DirectX 11) - 3D Vision Fix. The save file may be corrupted. Deleting the save file (after backing it up) and disabling automatic cloud save sync in Uplay may fix the crashing. If you experience low FPS while running a crossfire setup, try disabling crossfire (running the game with only one card). This can be done under the "Performance" section of the AMD Catalyst Control Center, under the CrossfireX tab. Under 3D Settings -> Manage 3D Settings click on the Program Settings-tab. 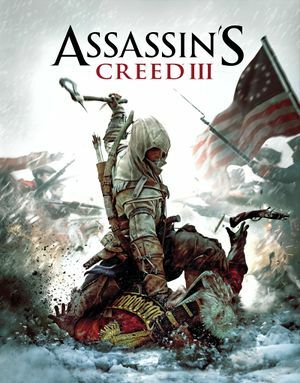 Select the Assassin's Creed III executable file ac3sp.exe or add it manually. In the table below scroll to Multi-Frame Sampled AA (MFAA) and set to Off, even if the global setting is already off. Click Apply and restart your game. 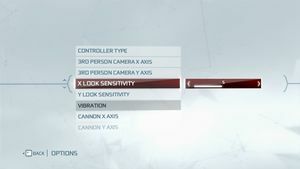 Even though the Very High anti-aliasing setting is the only one that uses MSAA, this works regardless of your ingame settings. Mobile Horse Carriages are invisible and the player cannot interact with them and can walk right through them. Windows may be out-of-date. Install all Recommended updates via Windows Update. Removing into videos may cause the game to crash. If encountered, restore the missing files or verify the game cache via Steam/Uplay. Download MSI Afterburner (it doesn't matter that you don't have MSI card). Go to Settings tab and tick unlock voltage control and monitoring. Go back to afterburner and increase slightly voltage - e.g. from default 1050 mV to 1100 mV. Using Steam, right click on the game in the Library tab and select Properties. Under Local Files click on Verify Integrity of Game Cache. Launch game but do not load your save file. Go to Options and reset keyboard and mouse controls to default. 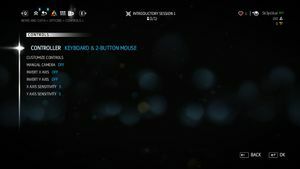 Load your save game using only the keyboard. Do not move mouse cursor at all. Select the game executable, right click on it "Edit", allow everything. This may also work for other Firewall/Antivirus applications. Attempting to play multiplayer may result in a "kicked from server by PunkBuster" error. Install game on your C drive. Verify Integrity of Game Cache in Steam. Make sure that your firewall is not blocking game executable files including Uplay software. If you have an Nvidia GPU, turn off FXAA and vertical sync in the Nvidia Control Panel profile for the game. ↑ 1.0 1.1 File/folder structure within this directory reflects the path(s) listed for Windows and/or Steam game data (use Wine regedit to access Windows registry paths). Games with Steam Cloud support may store data in ~/.steam/steam/userdata/<user-id>/208480/ in addition to or instead of this directory. The app ID (208480) may differ in some cases. Treat backslashes as forward slashes. See the glossary page for details. This page was last edited on 1 April 2019, at 05:57.